Álfaborg, (“Elves’ rock”) a picturesque rock, from which the fjord gets its name. Said to be the home of elves. Public park. Viewdial. 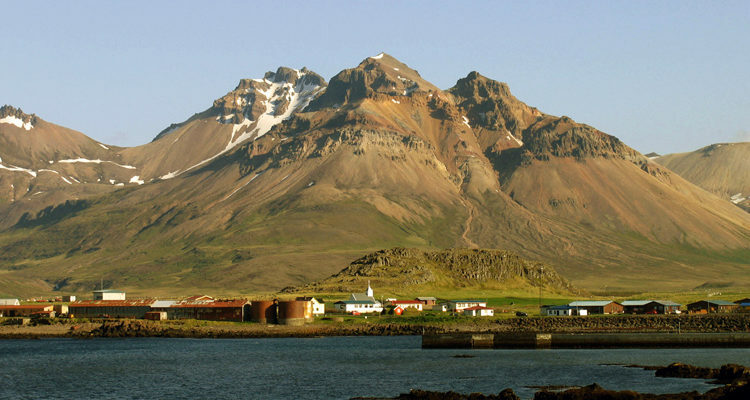 Bakkagerði, a village in Borgarfjörður eystri, and a trading post since 1894. Now fishing, fish processing, trade and farming. A church with a fine altar piece painted by Jóhannes S. Kjarval (1885-1972), who grew up in Borgarfjörður. It shows Christ giving the Sermon on the Mount, standing on Álfaborg with the Dyrfjöll mountains behind him.